Yamaha utilised its vast expertise in music, acoustics and especially as the worl's leading manufacturer of musical instruments to develop the ultra-highperformance Soavo speakers series. Drawing on the design and construction of the Soavo-1, the Soavo-3 offers further refinements for amazingly "Natural Sound" performance. Using a single woofer in the same cabinet that was developed for the Soavo-1, tehe Soavo-3 provides outstanding bass attack and damping, and clearly defined sound. Yamaha’s scrupulous attention to the sound of Soavo-3 is seen in the design of the network circuit. It uses the highest quality parts, including ICW metalised polypropylene capacitors and high grade air-core coil with carefully selected wire. Furthermore, these parts are connected by directly soldering each one individually, instead of using printed circuit boards. 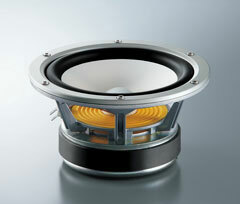 This contributes to the speaker’s rich and vivid sound. 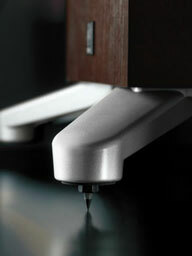 The Soavo-3 is equipped with diecast aluminium stands that provide the necessary solid floor contact for stability.